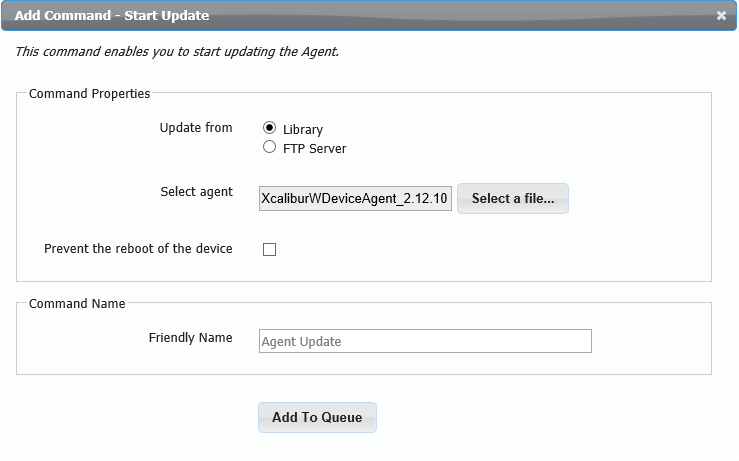 In the current version of Xcalibur W, the client update command is available using the built-in Library or using an external FTP server, which acts as a repository for client update instructions. The preferred method is the Library, as it enables easy updates and provides security via the HTTPS protocol. Updating clients using the Library is a simple process. 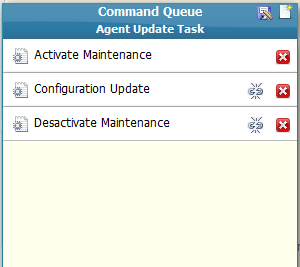 From the Command Groups tab, navigate to Agent Administration > Agent update. Click Select a file… to display a list of the available agents previously loaded into the Library. As with other commands, you may want to use the Maintenance Mode in order to allow updates on a device protected by a Write Filter. The screenshot below shows a typical Command Queue with Maintenance commands. 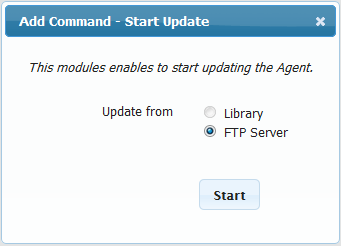 The external FTP server acts as a repository for client agent update instructions. The repository should contain at least the XML infoversion file, which specifies the target version and the path to the new client agent. The new client agent binary can be stored on the same FTP server, or on a remote server (SMB, HTTP, FTP, etc.). If there is no Write Filter activated, then the update of WPDA is done silently for the user without any reboot. If protected by a FBWF Write Filter, then a message pops up informing the user that the device will automatically enter Maintenance Mode to start the update, and will reboot after updating. Due to Write Filter protection, Agent Update will not work on a device that has EWF activated. If protected by EWF or FBWF Write Filter, then the device will be put into Maintenance Mode. The device Agent must be configured with the FTP server address and credentials. This can be done either by manually entering the settings or using the DHCP Scope options. FTP Server settings can be provided using DHCP Scope Option 230. 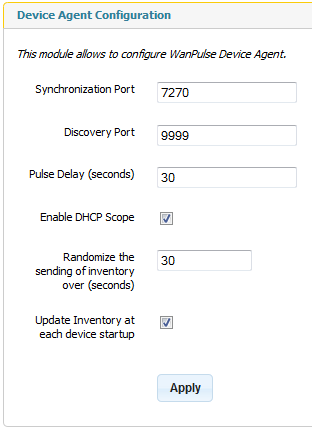 For more information about the DCHP Option, refer to the DHCP Scope Options section. In Xcalibur W Agent, navigate to Administration > Agent Configuration to enable the DHCP Scope Option by ticking the corresponding checkbox. Manual settings are entered from the Administration > Agent Update section. 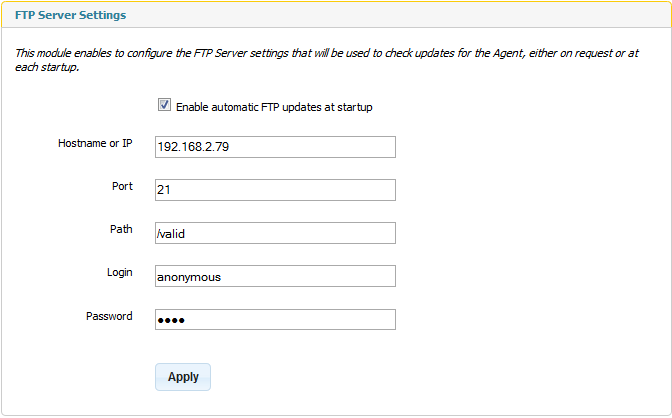 Additionally, Enable automatic FTP updates at startup can be selected to check for Agent updates at each startup. Start the update using the Agent Update command. 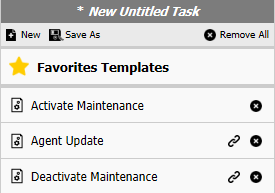 When executing the update on Write Filter protected devices, activate Maintenance Mode prior to executing the update as shown in the Task Template below.